Psychoanalyst, psychologist and writer and vice-president of the International Society of Analytical Trilogy (ISAT), Claudia Pacheco has been Norberto Keppe’s assistant since he formed Integral Psychoanalysis in 1967. Dr. Pacheco studied didactic analysis with Keppe after graduating with a degree in psychology from the University of São Marcos. She went on to complete her doctoral degree in 1980 with her thesis entitled “Freud and his Psychoanalysis”. Founder and editor of the Integral Psychoanalysis Journal, an ISAT educational periodical, as well as numerous other therapeutic ISAT publications in various countries, Dr. Pacheco has also organized and coordinated many international congresses and conferences worldwide related to Analytical Trilogy. From 1983 to 1988, together with Keppe, she founded and directed ISAT activities in New York. Her work there included conducting training programs for students and teachers at City University of New York. In 1990, she created the Institute Superior of Integral Psychoanalysis – the Norberto Keppe School, and set up ISAT branches in London, Lucca, Stockholm, Helsinki and Lisbon to train psychoanalysts and convene lectures and congresses about the science of Analytical Trilogy. Dr. Pacheco also created and published the scientific-cultural magazine, “Savoir c’est Pouvoir”, which was widely distributed for many years in Paris and other cities in France. In 1992, she founded the STOP the Destruction of the World Association in Paris, an NGO that she runs until today. She has coordinated all of the events held by STOP worldwide for the past 22 years. 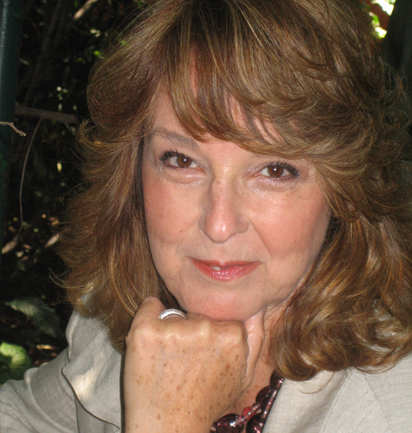 Her 42 years of research and 37 years of experience with clients led to the writing of her best-seller, Healing Through Consciousness: Theomania and Stress, in 1983. This ground-breaking book on psycho-somatic health has been published in 9 languages (Portuguese, English, French, German, Russian, Italian, Finnish, Swedish and Spanish). Upon returning to Brazil in 1997, she has continued her activities with the STOP Association and the Keppe Pacheco Institute of Science and Technology. She also continues to see clients, train psychoanalysts and write books about psycho-somatic medicine and psycho-socio pathology. Her powerful communication skills are on display in her work on award-winning TV and radio programs which she produces and hosts along with Dr. Keppe. These therapeutic scientific programs run in virtually every state in Brazil and 49 countries worldwide. Her work on the English-speaking radio program, Thinking with Somebody Else’s Head, has been heard by thousands of listeners in more than 100 countries.